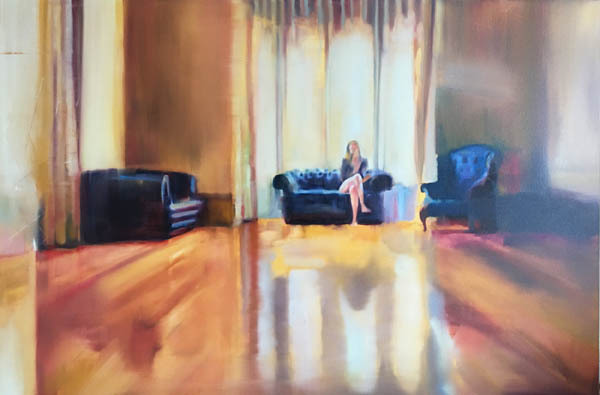 Sarah is a contemporary figurative painter, living and working in Hamilton, New Zealand. Currently, she works with the female figure in a domestic setting to examine those times in our lives where we find ourselves in transition; where decisions need to be made and consequences felt. Interested in how cinematic conventions can be employed in painting, she films her subject, capturing moments that might otherwise go unseen. 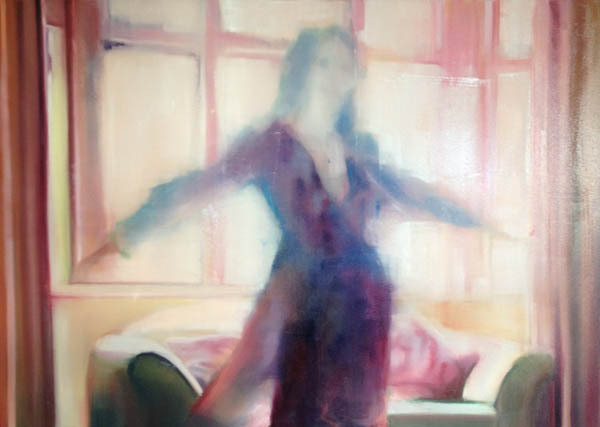 Her research investigates how Emergence theory can be applied to painting practice and while faithful to the photographic source, she stays open to “the mystery of appearance” generating a play between realism and abstraction.